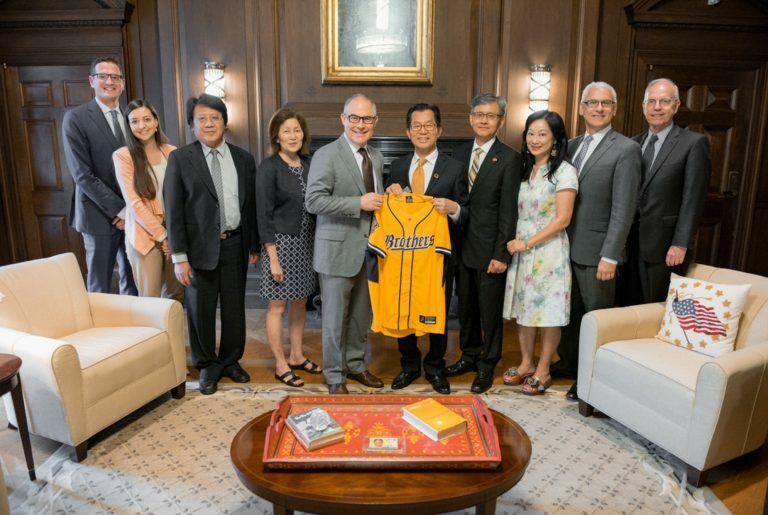 In the first visit from a Taiwanese Cabinet member to Washington after U.S. President Donald Trump assumed office in January, Taiwan’s EPAT Minister Lee Ying–yuan met with Scott Pruitt, the 14th administrator of the EPA on September 20, 2017. Their meeting commemorated the renewal of a U.S.-Taiwan agreement on environmental protection technical cooperation that was first signed in 1993. The EPA and EPAT chiefs also reaffirmed their commitment to work under Taiwan’s International Environmental Partnership (IEP) program to address environmental challenges such as air pollution, mercury monitoring and electronic waste management. Through the IEP launched in 2014, U.S. and Taiwan environmental experts are now working with more than three dozen countries around the world to address environmental challenges that also include environmental enforcement, contaminated site remediation, and environmental education. Administrator Pruitt also commended “Taiwan’s leadership and commitment” for the EPAT’s release of Taiwan’s Voluntary Review Report on September 15 in New York, which details Taiwan’s measures to advance the 17 goals in the U.N. 2030 Agenda for Sustainable Development.